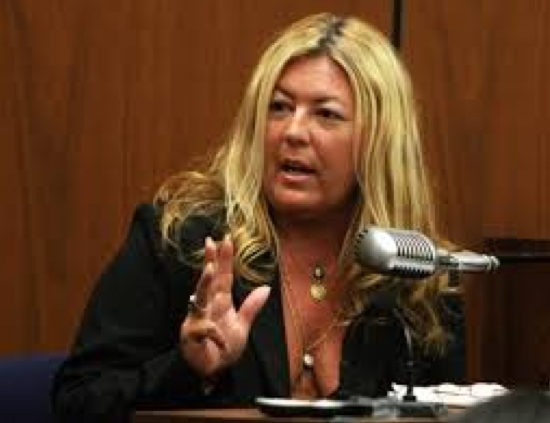 Trials & Tribulations: Here's What Happened to "Punkin Pie," Lana Clarkson's Former "Friend"
Here's What Happened to "Punkin Pie," Lana Clarkson's Former "Friend"
Punkin Irene Elizabeth Laughlin, aka "Pie"
testifying for the defense in Spector 1, 2007. Back in 2007, over a period of about six months, I attended the first Phil Spector murder trial. It's also when I started Trials & Tribulations. Spector was on trial for second degree murder in the death of Lana Clarkson. Clarkson died in the early morning hours of February 3, 2003. Clarkson had met Spector at the House of Blues on Sunset Blvd in Los Angeles, where she was working security in the exclusive V.I.P. Foundation Room. After the club closed, Spector convinced Clarkson to come back to his Alhambra mansion for a drink. Just a few hours later, she ended up dead. She was shot through the mouth while sitting in a chair in the foyer, her purse on her shoulder, as if she was waiting to leave. Clarkson, an actress and model in the 80s, was just starting to get back on her feet after breaking both her wrists in a freak accident a year earlier when her life tragically intersected Spector's. 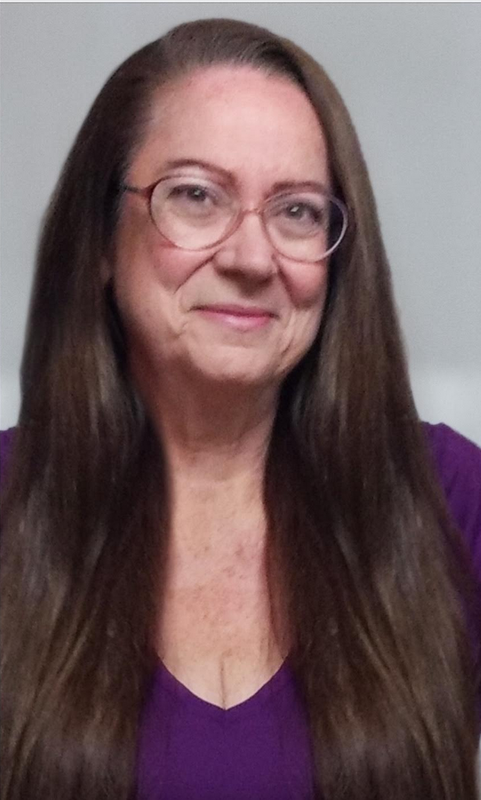 Witnesses testified that Lana had a "best friend" who called herself Punkin' Pie, or just Pie, although her legal name was Irene Elizabeth Laughlin. In December 2000, the LA Weekly featured a story about Pie, a self-made music promoter who helped struggling artists get their start. Lana's "best friend" didn't testify for the prosecution. She did what any best friend would do. She testified for the defense, telling the jury that best friend Lana was so despondent, that days before her murder, Lana told Pie she was going to get a gun and kill herself. I'll never forget the above image of "Pie" on the witness stand, with that big gold necklace bouncing back and forth between her large ta-ta's. The first trial ended in a hung jury. Pie was conspicuously absent from the second trial, although many witnesses did talk about Pie and how she and Lana were "best friends." At the end of the retrial, Spector was convicted of Clarkson's murder on April 13, 2009. A couple of years ago, there was a short blurb in Screen Daily that a company, Vesuvio Entertainment was making a movie All Six Feet, about the relationship between Pie and Lana Clarkson. A few days later, The Daily Beast had a longer piece about the upcoming movie and Pie's spin on her friend's death. It's interesting that Vesuvio Entertainment was started by Greg H. Sims, another supposed "friend" of Lana Clarkson who also testified for the defense. Back in March 2013, Sims spoke with radio host Larry Elder about the film project that was coming out in six weeks. If the film was ever released under that name, I can't find it at IMDb. Fast forward to December 10, 2014. I'm on Facebook, and I get an instant message from my friend Toni, who tells me that Pie is on the Dr. Phil show, presenting herself as a "cougar." Although the show had already started, I immediately hit record on my DVR. I watched the episode a few days later. It was quite sad. There was 58 year old Pie, her plump body splayed out on her bed like ... (words escape me), extolling the benefits of being a "cougar" and dating a man 34 years her junior. 'Nuff said. And to think we all thought her 15 minutes of fame were over, right on time! I guess she found a way to keep relevant? What a sorry person. I had actually forgotten about her, but it all came flooding back with that photo you posted Sprocket! Eeeeewwww. Funny thing, I was thinking about her a few months ago. Dr. Phil must be desperate for show material. Wow -- thanks for this background . . . I had no idea. God only knows why, but I watched that particular Dr. Phil while I was doing come computer maintenance and my impression -- without knowing the background -- was what a pathetic woman she is. With "best friends" like her . . . I watched a few minutes. When I realized Pie was the same great friend to Lana that was now a cougar, I turned it off. Dr. Phil hit a new low in my book. I remember her. What a cow. Just when I had thought I was over her! I did not know what a cougar was....is this the best the cougars can do?? Have not checked in for a while, Happy Holidays to you and your kin! Just saw your blog. Punkin is the ultimate liar and was not Lana's best friend. I cannot say why I know and what I know, but Punkin should rot in hell.